Maria Boyadzhiyska, Deputy Mayor of Bulgaria's capital Sofia, has declared that she is ready to resign over the city's unresolved stray dogs issue. On Sunday, representatives of animal rights NGOs demanded Boyadzhiyska's resignation, stating that her efforts since stepped in office in 2009 have led to increasing rather than decreasing the population of stray dogs in the capital. The Sofia municipality had taken all possible measures to deal with the problem, but the program intended to decrease the number of Sofia's stray dogs was ruined by environmentalist groups last year, Boyadzhiyska has explained, as cited by the Bulgarian National Television. Boteo Tachkov, an 88-year-old renowned economist, was brutally attacked by a large pack of stray dogs in the Malinova Dolina quarter in the Bulgarian capital at the end of last month. The horrific accident triggered public outrage, as the city has been struggling to cope with its increasing stray dog population for years now. 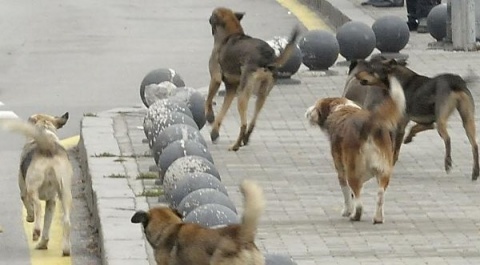 There are about 10 000 officially registered stray dogs in Sofia, even though some believe the number to be much higher. Prior to being reelected at the end of October 2011, Mayor Yordanka Fandakova vowed to "cut down in half the number of stray dogs in the Bulgarian capital the next two years." Boyadzhiyska is Fandakova's Deputy responsible for the environment. Currently, the procedure for stray dogs in Sofia is neutering them and then leaving them back at the places where they were caught.